An urban agriculture project supported by local businesses and public sector organisations is now underway in the centre of Hull. Rooted is a unique concept based on a “farm in a box”, transforming vacant land into a micro-agriculture enterprise in the heart of the city. The Rooted project has seen the transformation of derelict land on St Peter Street near to the site of the demolished Rank Hovis Mill building. Its purpose is to support and make improvements in physical and mental health, through knowledge and experience of food; particularly for those affected by poverty. Work on the site has been taking place since last year and the first container has been installed on Monday 23rd January. 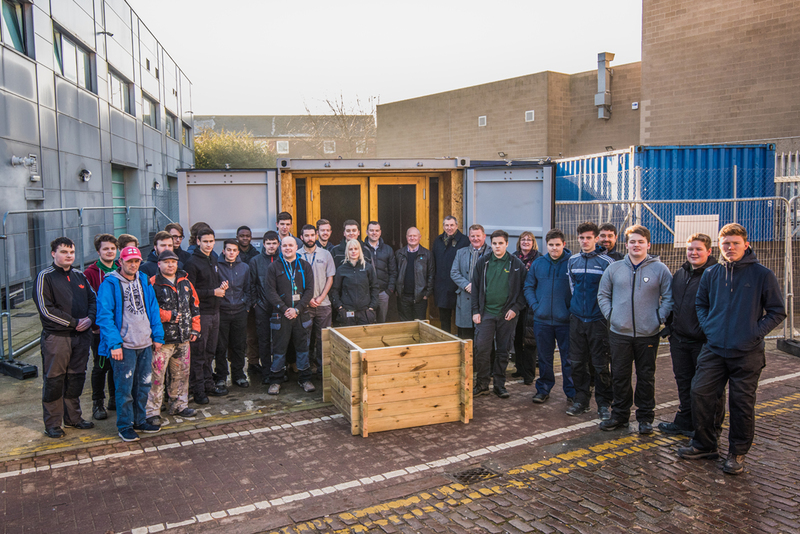 Hull College students have been working on containers for the project, providing them with an opportunity for their work to be used by hundreds of people and gain valuable work experience. 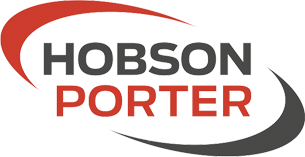 Hull-based construction firm Hobson & Porter has helped Rooted establish contacts for the project, and has partnered with national building supplier Jewson to provide materials for the building structures. Jewson has donated materials for the construction of the project’s containers, as well as committing longer term support to the project. Jewson Sutton Fields Branch Manager Chris Reader said: “Our branch has worked closely with Hobson & Porter to help provide the timber to get this project off the ground. We are proud to be involved in an initiative that benefits the city of Hull and its residents. Students from Hull College Group have been working on the first containers to be installed on the site, panelling them with wood, installing electrics and painting and decorating the interiors and exteriors. The first container will be used as a meeting room and office space, and a second container that will house a kitchen and café is due to be fitted by Spring. Graham Towse, Principal of Hull College said, “Projects like these really help to instil a sense of pride in our students and they can all be immensely proud of their contribution to the community, and their help in raising aspirations and building communities. Future containers will also incorporate modern and innovative growing and food processing facilities. Hull College’s students have also been involved in the development of mobile raised beds to create multiple agricultural structures. The project has also garnered support from other local businesses, including Bonus Electrical, Boston Renewables and VIP Communications. Hudgell Solicitors provided funding for the construction of the first container, and has shown a keen interest in supporting further work with Rooted as part of its pledge to assist community projects. Co-director of the project, Adrian Fisher, said: “This first container is a milestone for Rooted as it is the first example of our partners working together to provide a community space in that can be enjoyed by people in our region. Hobson & Porter’s Business Development Director, David Blades, said: “We have been working closely with Rooted for some time now and it is good to see that the site is progressing with the first structure now ready on site. “The project will be a wonderful community initiative; not only does it benefit local families with its fresh food produce, it has helped to educate students about the construction industry and allowed them to develop their practical skills in building the containers.